So you want to know a little more about Cameron Dunlap? You might even have a few questions as to whether or not you think Cameron is the guy to help you. Well look no further because he’s the real deal and here’s the scoop behind Mr. Dunlap. It all started several years ago when Cameron went to work for his father who owned a print shop. After being there for a few years, he decided it was time to spread his wings and venture out on his own. He went to work in corporate America and found himself not absolutely loving where he was going in his life. Even though he was one of the top sales reps for the company he was at, he had to make a decision as to whether or not this is what he wanted to do for the rest of his life. With a new wife and a family on the horizon, this was not an easy decision, but Cameron always knew there was something bigger and better out there. Late one night he saw an infomercial and immediately knew this is what he was destined to do. He quickly ordered the “Nothing Down” system from Carleton Sheets and his life has never been the same since. Because of his entrepreneurial spirit and the work ethic he learned from his father, Cameron soon became a rising star in the Real Estate Industry. His success spread quickly throughout the Real Estate crowd and gurus like Carleton Sheets and Ron LeGrand were asking Cameron to speak in front of thousands of investors to teach them how he was buying and selling Real Estate. See, within the first 2 years of his Real Estate career, he had bought and sold millions in Real Estate. Cameron had a talent for creatively putting deals together that most people and investors couldn’t do or figure out. He became known in the industry as the “Transaction Technician” because he was so creative in putting deals together. Because he enjoyed teaching others how to put together deals and crowds enjoyed listening to him, he continues today to teach and enlighten students, across the country, on how to invest in Real Estate. He has literally spoken to tens of thousands of people across the nation and has shared the stage with many of the great investors and minds of our time. 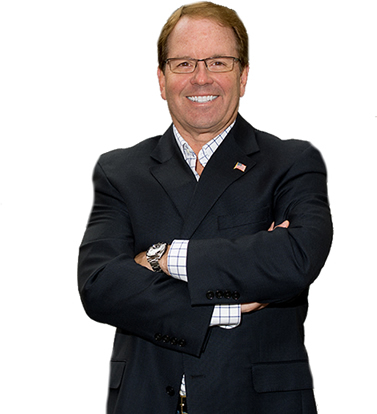 His whole goal in speaking is to help people realize and obtain their dreams through Real Estate. Cameron is just one of those guys that you instantly like and feel connected with because of his transparent nature and desire to help out. Cameron Dunlap is an active Real Estate Investor so what you see is what you get. He’s the real deal. Being an active investor and in the trenches, he knows what is working today. He has several training programs to help all types of investors, those who are just starting out and those who are seasoned pros. His main focus is on teaching how to profit from vacant houses, either bank owned foreclosures or privately owned properties. He has developed software that automates your business process so it frees up your time to do the things that are most important. It’s called iFlip. He also helps students fund deals and find buyers, which are major obstacles to the Real Estate puzzle these days.